Bago was formerly known as Pegu. It is a city and the capital of Bago Region in Myanmar. It is located 80 km (about 50 miles) from Yangon. It has a population of 220,000. Being an ancient capital of Mon Kingdom in 15th century, you can enjoy the Bago sightseeing including ancient Buddha Images. Most sightseeing is Shwethalyaung Reclining Buddha (55 metres long), Shwemawdaw Pagoda, and 28 meter high huge Buddha Image of Kyaikpun Pagoda with its four huge Buddha Images facing the cardinal points and the one interest place is Kanbawzathardi Palace. 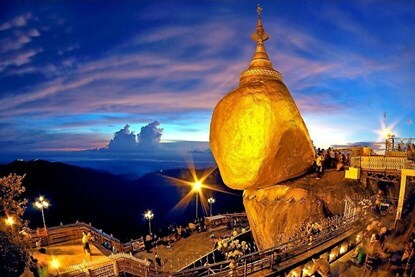 Do you want to see the country’s highest golden pagoda? Or the Reclining Buddha 55 m in length and 16 m in height? Or Kyaukpun Pagoda’s four huge seated Buddhas – sitting back to back facing the four points of the compass? Would you like to follow the studies of Buddha’s teachings with the monks of Kyakhatwaing monastery? Or rather just stroll across and enjoy the extensive river market? Well, it is time to follow us to Bago. 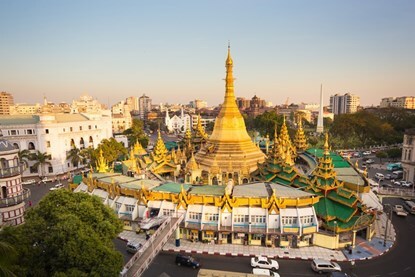 At a 2 hours´ drive from Yangon we visit the former capital of the Mon-People. We travel Myanmar’s only “freeway”. While returning, you will have the chance to visit the temple (home of the nats according to local lore) dedicated to the guardian of traveling where motorists offer flowers to pray for a safe journey. Bago, called Pegu by the British and once an important sea harbour (before it silted up), has been reborn!